Evolution: Battle for Utopia, My.com’s hit sci-fi action RPG, is getting a major content update early next year with Legacy of Dominion which will bring new story scenarios, mysterious planets and powerful items to the game. 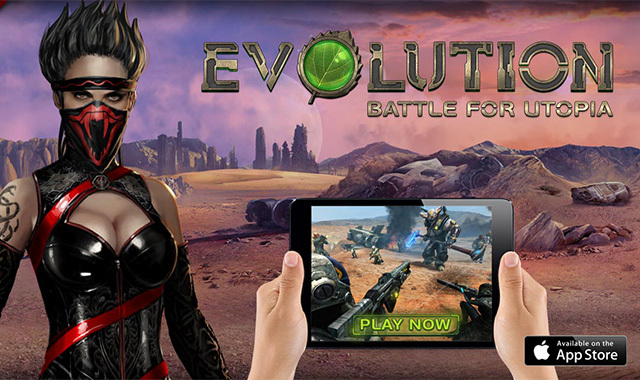 With more than 4 million players engaging in sci-fi mobile battles, Evolution: Battle for Utopia is continuing to expand the content for one of the largest in-game mobile worlds which was featured as one of Apple’s “Best New Games” at launch. Legacy of Dominion will launch early in 2015 first on iOS devices, followed by Android devices.